A Visit to Your Dentist Offers More Than Just Clean Teeth! A common misconception is that regular visits to your dentist only serve the purpose of cleaning your teeth. In reality, these are not casual appointments, nor are they mere formalities. Instead, they serve as defense mechanisms in an ongoing fight for your oral and overall health. Your dentist will provide a host of beneficial services all wrapped into one visit. Learn how valuable preventive dentistry is for your total wellness as you continue reading. What Happens at a Semi-Annual Appointment? The mouth serves as the window to the rest of the body, so your regular dental visits serve as key components in monitoring your overall health. Gum Disease – A foul odor, dry mouth, bleeding and puffy gums are possible indicators of gum disease. Oral Cancer – White or red spots in the mouth may be signs of oral cancer. Your dentist will also check for tenderness in your face, mouth and neck. Diabetes – Gum disease, including bleeding gums and loose teeth, can be warning signs of diabetes. Heart Problems – Your dentist will also be on the lookout for signs of heart problems, which also include inflamed gums and loose teeth. The connection here involves your dentist’s knowledge that infected blood in your gums flows down to your heart and can cause arterial plaque build-up. This can lead to life-threatening problems like heart attack. If your dentist finds signs of diabetes or heart problems, it’s imperative that you pass these results on to your primary care physician so that a plan of action can be developed. One of the most valuable benefits of your preventive care visits to your dentist is that they allow you to get out in front of a developing situation while it’s in its fledgling stages. This is much more favorable than trying to play catch-up after it has developed into a full-blown problem. Furthermore, the methods for treating a condition will typically be less invasive when it’s identified earlier, and the out-of-pocket costs can be substantially less. In addition to the thorough examination that you’ll get, the professional cleaning – which will clear away the harmful plaque and tartar that contribute to many of your health problems – will leave you feeling confident that your mouth, teeth and gums are completely rejuvenated. The overarching theme here is that making the time in your schedule to visit your dentist is definitely worthwhile, because it serves as one of the best tools you have to maintain and enhance your total wellness, so don’t hesitate to reach out to your local dentist today! A graduate of the UCLA School of Dentistry, Dr. Nelson Y. Howard has completed thousands of hours of post-graduate continuing education courses. 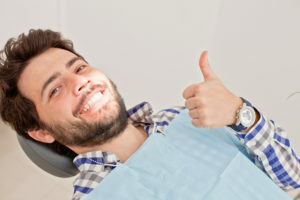 In doing so, he has managed to keep himself and his staff up-to-date with the latest advancements in dental procedures, materials and techniques. An expert who has lectured nationally to other dentists, Dr. Howard continues to provide expert care to his patients and can be reached for more information through his website. Comments Off on A Visit to Your Dentist Offers More Than Just Clean Teeth!